The shareholders of inte rnational kids channel KidsCo are closing down the joint venture following NBCUniversal’s move this week to buy all of preschool network Sprout. The decision has been made to stop broadcasting the channel due to the “challenging” nature of the crowded kids TV channels business and problems “growing” the net. “As a result, both shareholders – NBCUniversal and Corus Entertainment – have decided to discontinue the joint venture service by early 2014,” the JV partners added in a statement. KidsCo-operated programming block Syfy Kids is also affected by the closure and will cease broadcasting in the territories it operates. Thought it is in more than 100 territories around the world, KidsCo failed to launch in the lucrative UK and US markets. The channel airs shows such as Boo & Me and Babar. DTVE’s sister publication TBI understands that a “handful” of staff at KidsCo’s London base, including managing director Hendrik McDermott will exit as a result. However, NBCU is “exploring alternative employment [options] elsewhere” within its operations for the effected workers. The channel had already seen a number of key executives leave over the past few years following the exit of former CEO and shareholder Paul Robinson. Yesterday, NBCU acquired the remaining shares in Sprout it didn’t already own, prompting questions around KidsCo’s future. NBCU owned more than half of KidsCo after acquiring Cookie Jar Entertainment’s stake in the business last year. 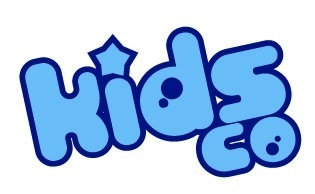 KidsCo launched in 2007 as a joint venture between Sparrowhawk Media, DiC Entertainment and Corus. NBCU subsequently acquired Sparrowhawk, while Cookie Jar bought out DiC. Cookie Jar sold its stake in May last year before itself being bought out by fellow Canadian kids entertainment firm DHX Media.